← Listen to my Star Chamber podcast appearance! Throwback Thursday – Sinking Down (2008) Cover! Some people prefer to bury their past. Not me, I love knowing where I’ve been, and how far I’ve come. I’ve never done a Throwback Thursday post, and I don’t plan to make a habit of it, but I thought this would be appropriate. 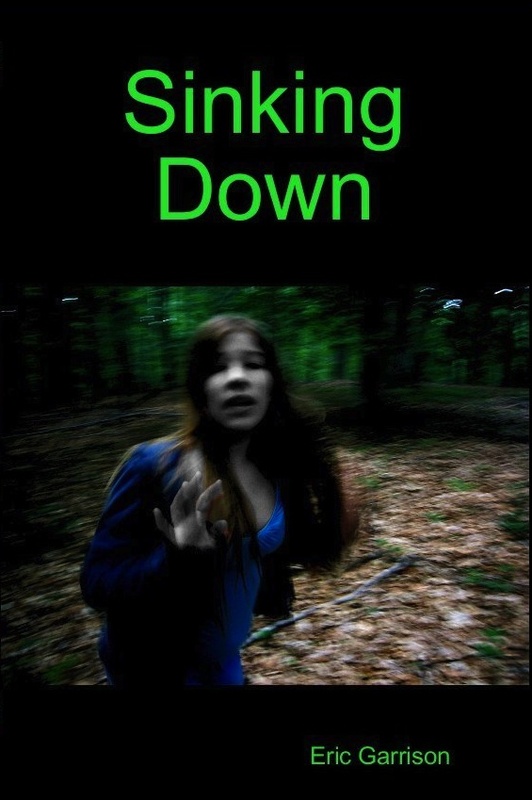 Compare my 2008 photoediting work for the self-published edition with Bonnie Wasson’s gorgeous new cover for the much-improved re-release of Sinking Down. Go on and click, I’ll wait. I’ll say, I was quite proud of what I came up with 5 years ago on my own, and I still kind of like it. In fact, of the covers I’ve created, this is the one that people react to the most, Sinking Down always got picked up and looke dat first when I had my first four self-published books on display. But anyone who’s seen my Whiteboard Wednesdays knows I am NOT an artist. How it was made: I searched Flickr for Creative Commons licensed pictures. I think I used “lost in the woods” as my search term to find the original to this. Even though the license meant I didn’t have to ask, I did anyway to make sure the photographer knew it would be used for this book. She gave her blessing, and so I went to work in the GIMP photo editor. I outlined areas of skin that showed and changed them to grayscale so she’d look kinda dead. I darkened the gamma and played with colors to make a daytime scene seem like nighttime. The original had the blur already, and I liked that dizzying effect. So, it’s no coincidence that my ideas for the updated cover started with this, I wanted the eerie quality and sympathy that my original cover had with that version of the Little Ghoul. Since someone asked, Sinking Down will be available as an ebook next week, possibly as early as Tuesday, and the print book will be available the following week, just in time to get it, along with Four ’til Late, for Christmas! 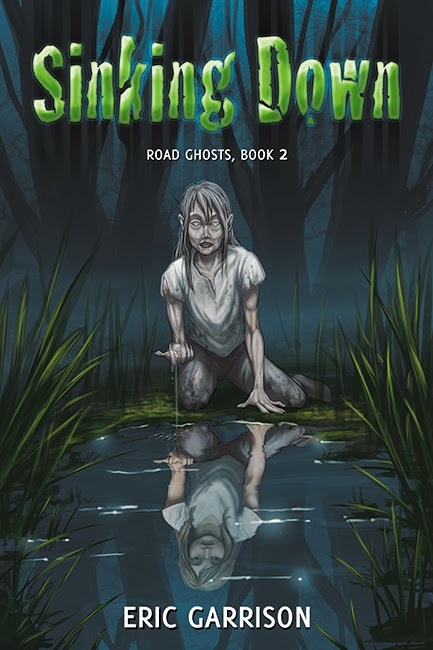 This entry was posted in Fun Stuff, promotion, Publishing, self, Seventh Star Press and tagged four 'til late, interview, road ghosts, seventh star press, sinking down. Bookmark the permalink.